If you’re new to aquariums, adding live plants can seem like a daunting task. Especially if you’re one of the many people out there who has a “brown thumb”, and your house features the withered husks of forgotten houseplants. Or maybe you’ve heard people talking about their planted tank setup, with references to T5 lights, a C02 system and a specialized substrate. It can all sound pretty daunting to someone new to the hobby, but if you choose the right plants, you can avoid all that stuff completely. There are several beginner plants out there that can grow under even the most basic lighting conditions, and need nothing more than simple gravel for their substrate. And if you choose fully aquatic plants, then you also won’t need to supplement the CO2 in the aquarium. 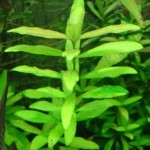 The following list of plants are all hardy and easy to care for beginner aquarium plants. Most of them don’t even require special lighting, and can survive under the incandescent lights that come with basic aquarium hoods. Hornwort – Hornwort is one of the hardiest aquarium plants period. 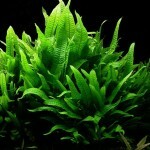 It will grow well in conditions that would kill algae, and it’s still an attractive option for most aquariums. 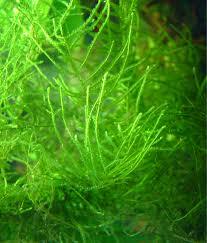 Hornwort can be grown planted in the substrate, or floated in the water column. 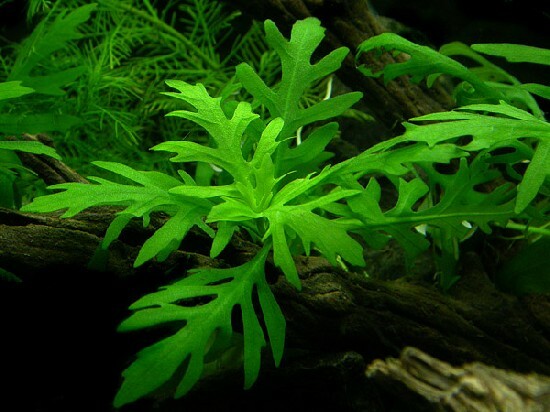 The one downside to this plant is that it tends to shed needles, which can make a huge mess in the aquarium. It also becomes somewhat unattractive under high light conditions, since it grows long and stringy. 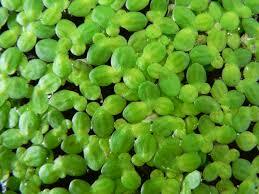 Duckweed– Duckweed is a tiny floating plant that will grow in nearly any aquarium. In fact, it is almost impossible to remove duckweed after it’s become established and it can actually become a nuisance if you provide too much light and nutrients. As long as your willing to regularly remove excess duckweed from the aquarium, it is an excellent little plant that can help to provide surface cover for fish that prefer dimly lit aquariums, and can also provide shelter for newborn fry. 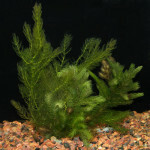 Java Moss – Java moss is one of the most popular plants in the aquarium trade, and it will grow in nearly any water or lighting conditions. 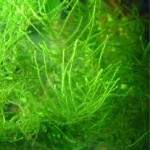 It makes a stunning addition to most aquariums, and can be grown in moss walls, or attached to rocks and driftwood. It tends to be a slow-growing plant, and it will suffer from algae growth if it is kept in an environment with too much light. However, it is almost impossible to kill, and once it is established in an aquarium it can be very difficult to remove. 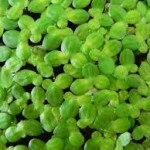 Dwarf Hygro – Dwarf Hygro is another plant that will grow in just about any conditions, and if you let it – it can quickly overrun an aquarium. 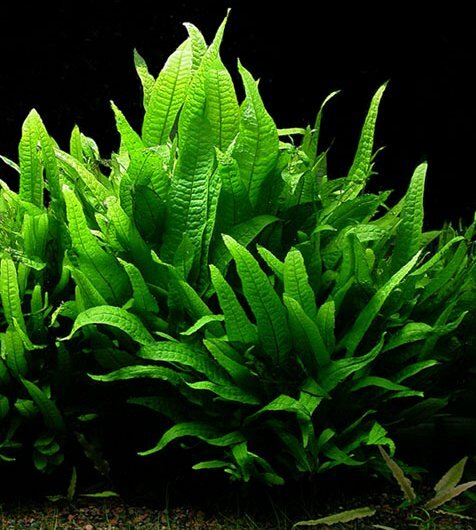 It is by far the fastest growing plant on this list, and if you’re hoping for a perfectly aquascaped aquarium, you’re in for a disappointment. This plant is almost impossible to keep trimmed back, but if left to its own devices, it can provide a nice “overgrown” look to an aquarium. Dwarf hyrgo has to be grown in a substrate, but it will thrive in even basic substrates like sand or gravel. It will also thrive in low light conditions, but for optimal growth it should be provided with florescent or LED lighting. 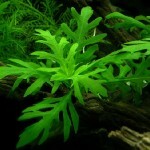 Java Fern – Java fern is a tough plant that will survive aggressive fish, poor lighting and poor growing conditions. Even in some of the worst conditions available for this plant, it will still spread like a weed through an aquarium. It doesn’t require a substrate, and can be grown attached to rocks or driftwood. Until it becomes anchored though, you will have to attach it using fishing wire or thread. 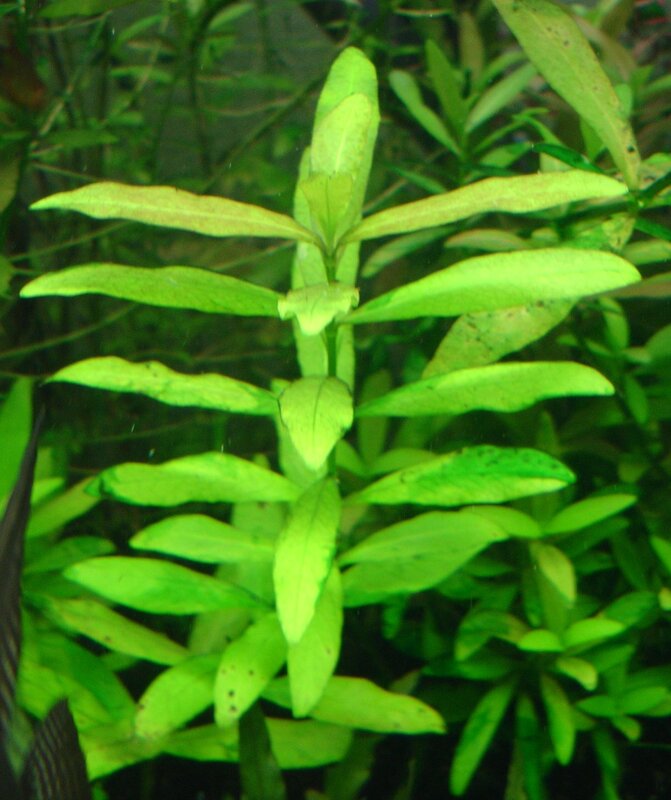 It will grow well in low light conditions, and too much light can actually burn the leaves of this aquatic plants. Water Wisteria – Water wisteria is another extremely easy to keep aquatic plant, that will grow in poor lighting conditions. With that being said, more than any other plant on this list, it will appreciate at least medium lighting conditions with florescent or LED bulbs. This plant can be planted in the substrate, or left to float in the water column, though you will experience greatly lessened growth if it is left floating.